Renaissance wax is an invisible wax that protects metals from oxidisation. It was first developed in the 1950s in the British Museum research laboratories, specifically for the conservation and protection of exhibits. It is now the most popular conservation wax polish and used in museums, galleries and stately homes to this day. Why is renaissance wax good for handmade jewellery? 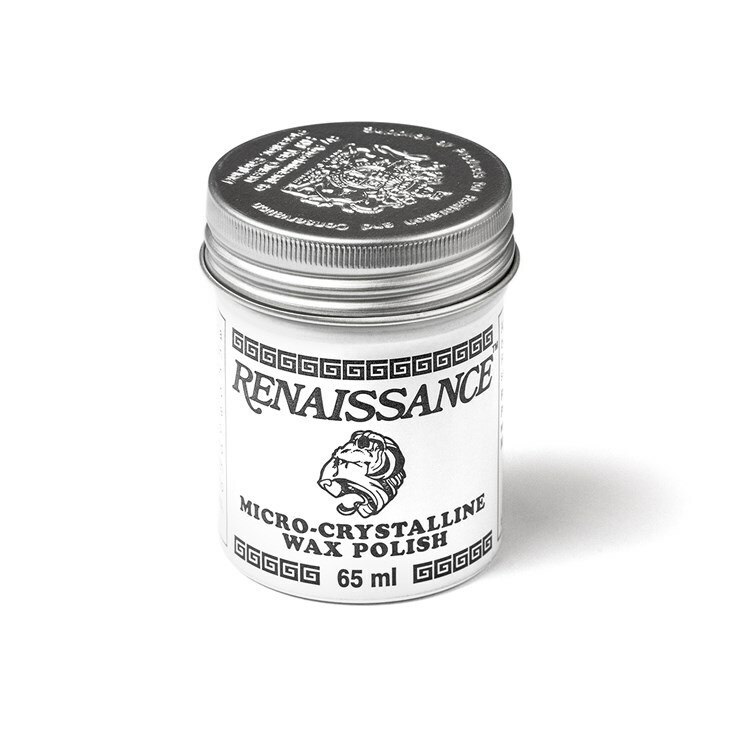 Renaissance wax is a great product to have at your jewellery bench as metals will tarnish over time due to the exposure to oxygen. Applying renaissance wax to copper, silver and other metals will prevent the pieces from tarnishing. Does it differ from a lacquer? Yes, unlike lacquers renaissance wax leaves behind an almost invisible protective layer rather than a shiny coating. It has a micro crystalline structure, much finer than totally natural waxes, a quality that is highly efficient for moisture resistance. This is great if you have a jewellery design that you don't want to affect the finish of. Can I use it on patina? Yes, renaissance wax is brilliant for sealing antique or coloured patina such as using liver of sulphur. Can it be used on other materials other than metal? Yes, renaissance wax can be applied to a whole range of materials including metal, polymer clay, wood, leather and ceramics. You can also use them on your jewellery tools to stop them from rusting. Not only is it great for all kind of crafters, you can even use it on household objects such as photo frames and furniture too. After an hour applying the wax, it is recommended that 2 or 3 further thin coats of the wax is applied, gently buffing each to full shine and allowing about 30 minutes between each coat. How can I prevent fingerprints? Wear cotton gloves when handling all metals during any kind of restorative treatment to avoid finger-printing the surfaces. Such marks will be acidic and could produce tarnish even under the wax film. Will the wax need re-applying? Like any wax, it will wear over time so yes it is recommended that you re-apply when necessary. Renaissance wax films are tougher in every-day use than other commercial wax products. Metals are positively protected and need only quick, dry rubs with a soft rag to maintain them. Re-waxing is required only at long intervals, perhaps once or twice annually. The frequency of maintenance application will depend on physical contact/wear and whether the wax has been used internally or on external surfaces exposed to the weather. It is so easy to apply renaissance wax, simply apply sparingly to a soft cloth and buff it gently into a full lustre to create an invisible protective layer.